Keynote Speaker - Think BIGGER about Your Business! 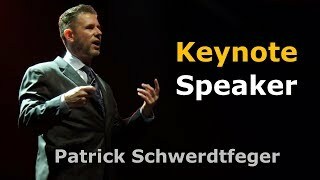 Patrick Schwerdtfeger is a leading authority on global business trends including 'big data', shifting demographics and the social media revolution. He delivers his programs with a motivational 'think bigger' message and empowers audiences with tactical advice and guidance. If you're planning an upcoming event, please visit the "Primary Website" below. 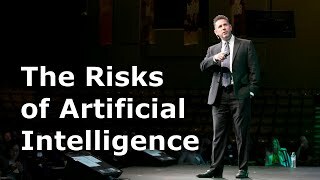 By the way, the website has tons of videos including his 7-minute "Learned Intuition" TEDx Talk, a 4-minute speaker demo video, various media interviews and appearances and, of course, the "Strategic Business Insights" video blog. Please click the link below and take a look around! Patrick Schwerdtfeger channel is new to VideoAmigo. Select from the following topics where Patrick Schwerdtfeger is classified. A channel's spider chart is made up of 12 data points. This spider chart demonstrates how Patrick Schwerdtfeger performs against each of the 12 data points. The teal line represents Patrick Schwerdtfeger, and the black line represents the average performance for the 1,224 channels in the Speeches, Thought Leaders, Futurists topic. View Growth: This channel's View Growth of 3.20% is 6.36% higher than the topic average of 3.01%. All activity starts with views. The more there are, the more opportunity there is to grow by engaging viewers. What category is Patrick Schwerdtfeger in?